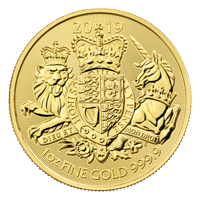 Invest in a 10 oz 2019 Magnificent Maple silver coin today from the Royal Canadian Mint from our online store at the lowest price. The maple leaf is a striking resemblance of Canada as it celebrates the nations diversity through it's various species. The reverse features two maple leafs etched with micro radial lines in extremely fine detail. The magnificent maple also features a micro engraved maple leaf on the face of the coin for security detail. The obverse of the coin exhibits Susanna Blunt's modern effigy of Queen Elizabeth II, along with it's $50 face value. 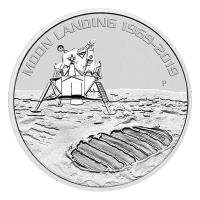 This 10 oz coin is contained within an air tight capsule sealed directly from the Canadian Mint. The magnificent maple series is always in demand, secure yours today! Vorderseite Das Abbild von Königin Elisabeth II. (gestaltet von der Porträtkünstlerin Susanna Blunt) und die Worte "Elizabeth II 50 Dollars 2019". Rückseite Two maple leaves encircled by the words "Canada 9999 Fine Silver 10 oz Argent Pur 9999"
Das Abbild von Königin Elisabeth II. (gestaltet von der Porträtkünstlerin Susanna Blunt) und die Worte "Elizabeth II 50 Dollars 2019". 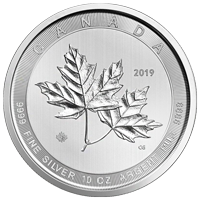 Two maple leaves encircled by the words "Canada 9999 Fine Silver 10 oz Argent Pur 9999"
10 oz Silbermünze - prachtvolle Ahornblätter - Royal Canadian Mint 2019 Invest in a 10 oz 2019 Magnificent Maple silver coin today from the Royal Canadian Mint from our online store at the lowest price. The maple leaf is a striking resemblance of Canada as it celebrates the nations diversity through it's various species. The reverse features two maple leafs etched with micro radial lines in extremely fine detail. The magnificent maple also features a micro engraved maple leaf on the face of the coin for security detail. The obverse of the coin exhibits Susanna Blunt's modern effigy of Queen Elizabeth II, along with it's $50 face value. 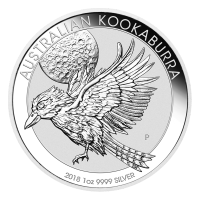 This 10 oz coin is contained within an air tight capsule sealed directly from the Canadian Mint. The magnificent maple series is always in demand, secure yours today!